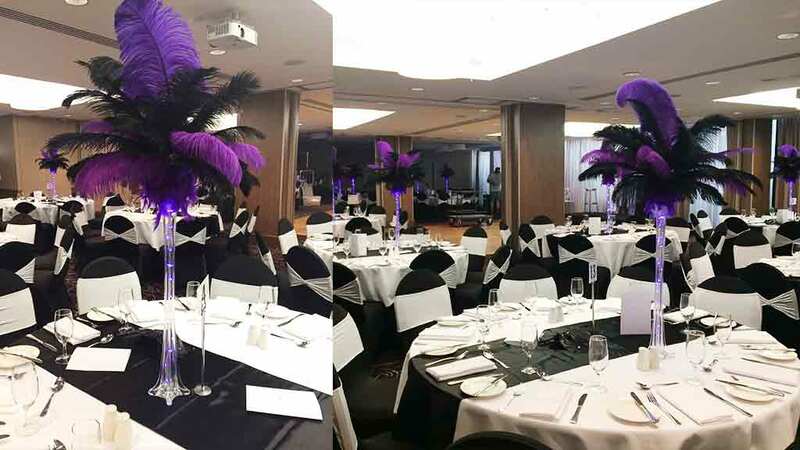 Contact us to discuss your colour and vase combination. 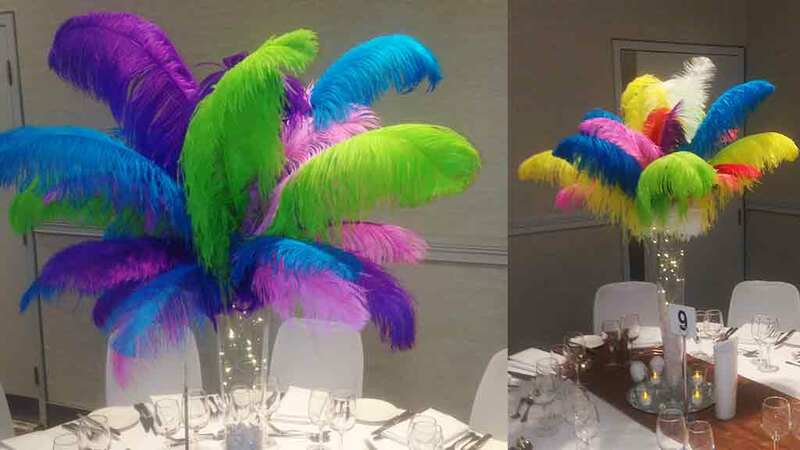 Beautiful Eiffel glass vase centrepieces with Feathers. 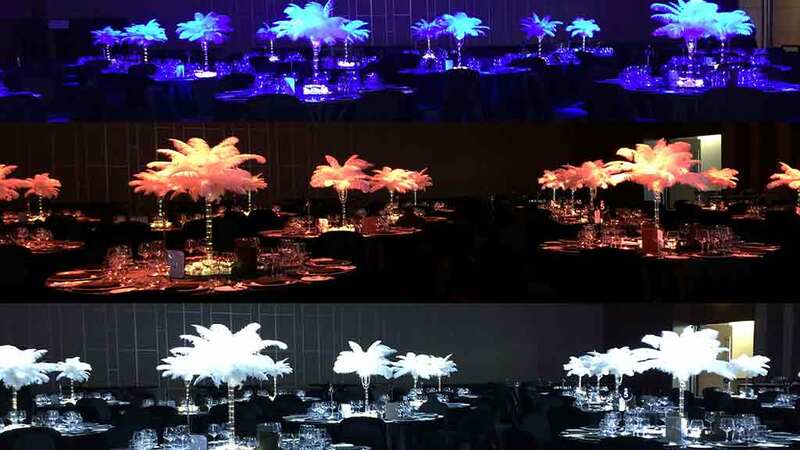 Custom built to match the decor of your event theme, illuminated by an immersed string light. 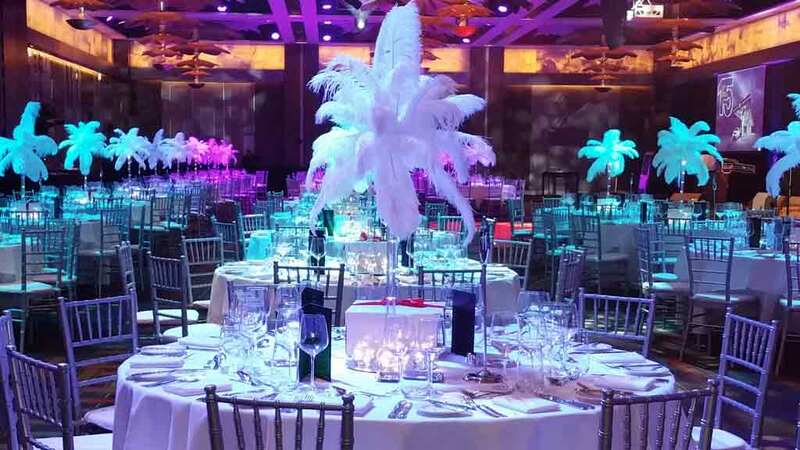 Gorgeous Ostrich Feathers Centrepieces for Hire! 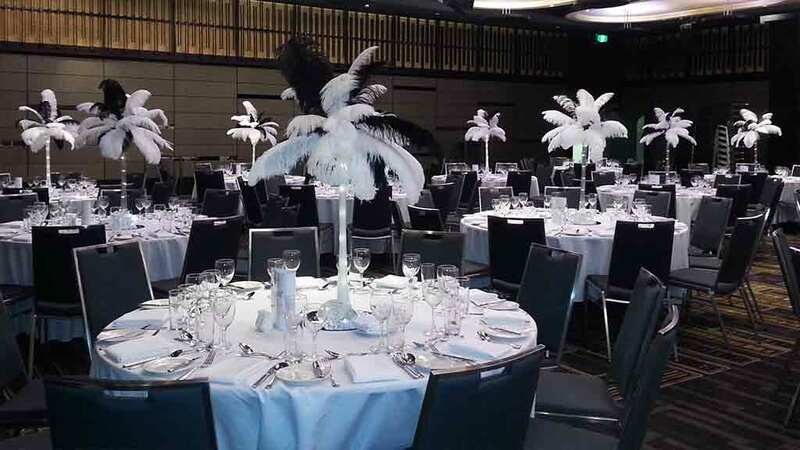 These centrepieces oozes class and luxury and will surely complement any event. 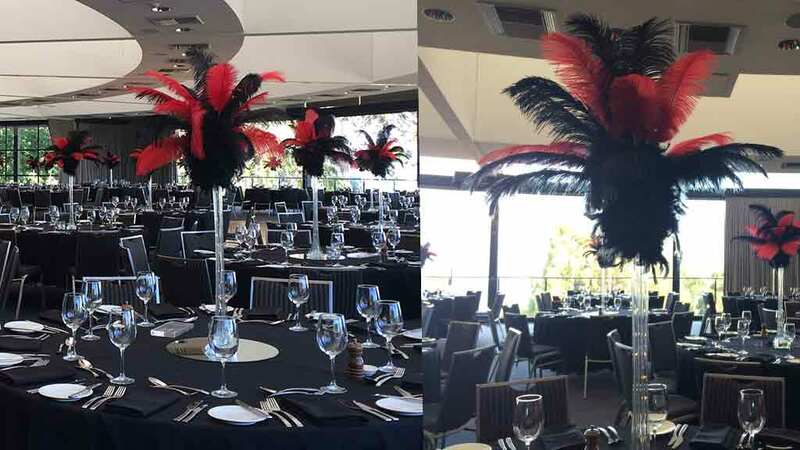 Most popular with Great Gatsby and Speakeasy Themed Events and equally popular for use on Hollywwod Themed and Masquerade Themed events. 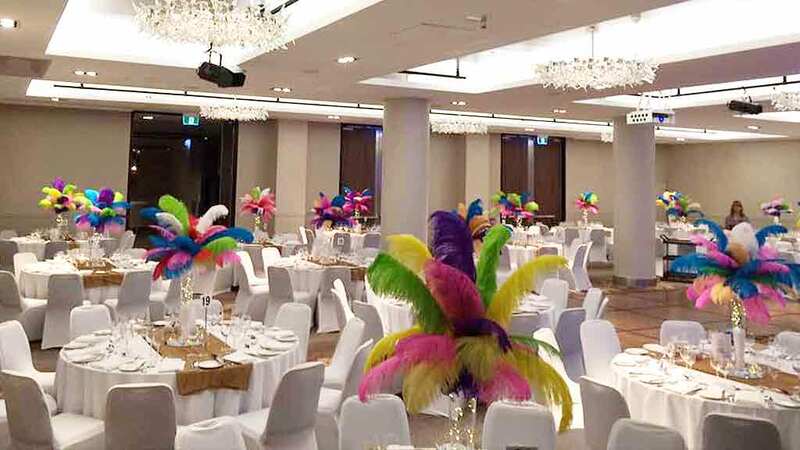 Reserve your Feather Centrepiece today!